We are excited about starting 2013! Are you excited about 2013? It’s at this time of year when many of us think about the previous year and look forward to the upcoming year. Writing down both personal and professional goals are what most people do. For Get You In Shape, we wanted to give you some simple tips for those looking to get a jump start toward long term health and fitness success. 1. Write Down Your GOALS! Here is what you should do. What specifically do you want to achieve and when do you want to achieve it by? This should be a specific target like “I want to lose 35 pounds by July 1.” It’s also good to put realistic goals down if your goal is to lose weight. A healthy weight loss should be anywhere from 6-8 pounds a month weight loss. The next question would be “Why is this goal important?” Without a real reason why you want to achieve the goal, your chances are very slim that you stick to a plan that will help you achieve that goal. Having both short term (4-12 weeks) and long term goals (3, 6, and 12 month) written down is the first step in getting started as you now have a target to shoot for. 2. Get a Starting Point – This tool you will use to help provide a baseline. This is a key factor in helping with motivation as your journey begins and progresses. A few suggestions would be to get before measurements, starting weight, take a before picture, and get some baseline fitness testing. The basics would be timing yourself for a mile, how long you can hold yourself in a up pushup position, and a few 90 second tests (pushups, airsquats, and sit ups). 3. Have a Plan! Having a goal is the start but having a plan to achieve your goals all mapped out is a key component to getting started on the right track toward your health and fitness goals in 2013. How are you going to lose weight? What are you going to have to do daily, weekly, and monthly in order to help you achieve this goal. For 80-85% of the population, you don’t even know where to start. It’s important to have the knowledge to put a complete health and fitness program together. If you are not sure what to do or how to get a plan, then tip #3 would be our suggestion. 3. Get Some Help! This may sound crazy but when it comes to starting and sticking to a regular health and fitness routine, YOU NEED SOME HELP! It’s not anything personal but getting help can give you the knowledge, tools, motivation, inspiration, and accountability you need to get started and to help you stick to a health and fitness program. Below are some examples but the point of getting help is that you are investing (some examples are free) in your health and fitness future by getting some help to get you started. There are many avenues that you can go to for help. Going with a professional fitness trainer would be our first suggestion since we (Get You In Shape) have a proven track record of helping people get both short and long term results. It’s only natural that we would suggest looking at either our Fitness program or 24 Day Challenge program. Other avenues would be free online programs, (here is a great blog post about it with different websites we suggest), group nutrition programs (like Weight Watchers), medical help, hire a dietitian, etc. The point is that when it comes to achieving your health and fitness goals in 2013, making a decision that you are going to seek professional help as your first step will help you get started. 4. Start Slow! It’s always funny to hear “I want to lose 10-15 pounds in one month!” The key to long term health and fitness is consistency over time. We always recommend starting slow and taking it one step at a time. When it come to research, most studies say that you should shoot for 6-8 pounds a month for long term weight loss success. Whether it’s weight loss or overall wellness, we recommend that you start slow. Start with one healthy habit and don’t move on until you have reached that. Healthy habits would be; drinking more water, exercising 5-6 times a week, eating more fruits and veggies, eating 5-6 smaller meals and snacks each day, and getting enough sleep. Those are just five basic health habits you can slowly start plugging into your life starting on January 1st, 2013. I would try adding each of the healthy habits in each week. Starting slower for many will allow them to enjoy the overall process and NOT think of the changes as a “Diet” but more of a lifestyle. 5. Measure Your Progress – With anything in life, you want to see some sort of results for your actions. This can be regularly measuring and weighing yourself and also tracking your progress. If you implemented step number two, you have some baseline numbers. It is important that you constantly check to make sure you are progressing or not. If you are, you can keep doing what you are doing. 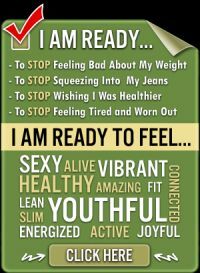 If you aren’t, you may need to make some adjustments and modifications in your plan so that you can start seeing measurable results. We recommend doing this every two weeks when starting out to help with motivation and accountability. After 3 months, you can either stick to every two weeks to change it to monthly. 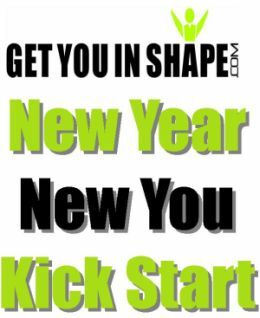 We have two programs to help Kick Start your 2013. 1. 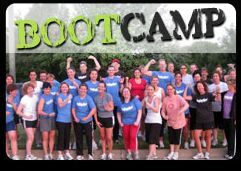 Get You In Shape Fitness Boot Camp – Kick Start program – This is a program for people in the Coppell Area. Click Here for the Fitness Program information and to sign up. 2. Advocare 24 Day Challenge – This is a national program that has been proven to help and has launched an awesome Fitness DVD that will help you get the results needed to help with long term health and fitness. 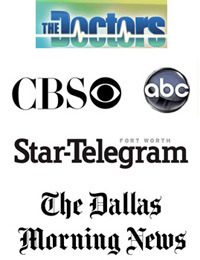 Click Here for the Coppell Group 24 Day Challenge information meeting January 8th. Professional support, accountability, motivation, and inspiration and coaching. 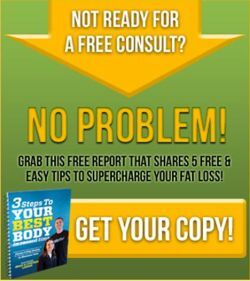 A proven program that has produced thousands of results nationwide and hundreds of results just through Get You In Shape. A free gift for each referral that signs up with you. Previous Post Pharetra interdum Next Post The Sweetest WordPress Themes Around.